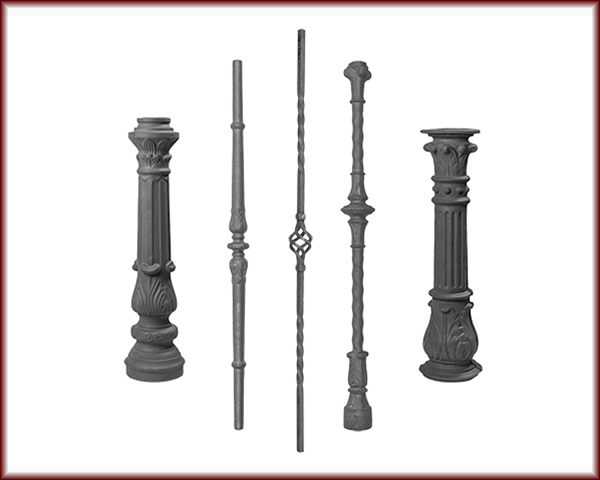 Balusters are the vertical supports for a railing. Mix and match to quickly and easily add your own custom flair. Posts are heavier uprights that anchor a railing in place on either end and at strategic points along curves or at corners. Most posts are designed to fit together around a piece of pipe which is attached to the ground to provide stability. Accessories such as collars and bases can be added to posts to customize your project.